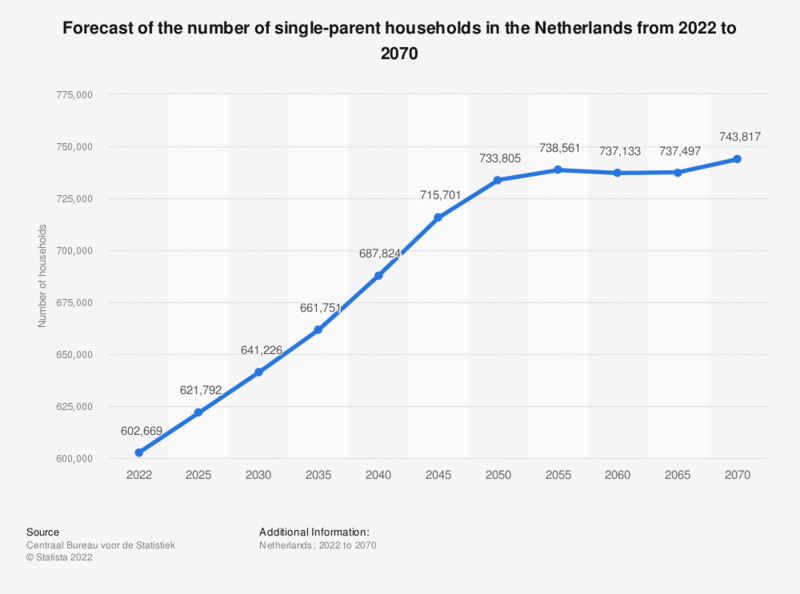 This statistic shows a forecast of the total number of single-parent households in the Netherlands from 2016 to 2060 (in thousands). It reveals that the total number of single-parent households is expected to increase between 2016 and 2060 from 554,000 to 599,000. The predicted single-parent households peak is in 2050, when 608,000 single-parents are expected to form their own household. After 2050 the number of single-parent households is forecast to decline again.